Thought it would be fun to do a review that isn’t a pen or even a ink, is related though so pitch forks down people! The more I was getting into the world of pen collecting I needed to work out how to protect them! 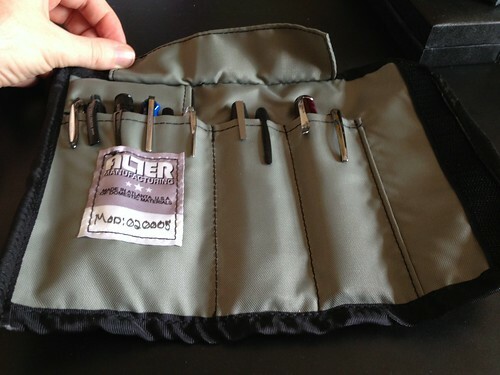 While listening to the now infamous Pen Addict Podcast, Brad had mentioned that he purchased a pen case by a company called Alter Manufacturing. A quick google search and I found there website. I added a Mod.02 Pen(cil) Case into my cart and tried to buy it, this is where I ran into a issue. The carting system wouldn’t accept my shipping address but this wouldn’t stop me! I contacted Alter Manufacturing via e-mail and they were super helpful and got it sorted so I could order the Pen(cil) case. The description for the Mod.02 on their website is that it is designed for; Pens, Pencils, Erasers and a 3.5” wide by 6.5” tall notebook. I have been using it solely for pens and pencils, I haven’t tried it with a notebook. The dimensions for the Mod.02 are as follow; 10.5” wide when open, 3.75” when closed and 7.5” tall. One of the big selling points is that the Mod.02 is made using 100% US materials and what I found even more impressive is even with Alter Manufacturing not out sourcing for materials the Mod.02 only costs $30 which is next to nothing considering how much you can spend on pens and pencils. You can tell that there is a lot of pride that goes into making this case as there is a high level of attention to details, even with what could be classed as small details. Each Mod.02 is hand numbered which I find really adds to the whole experience. 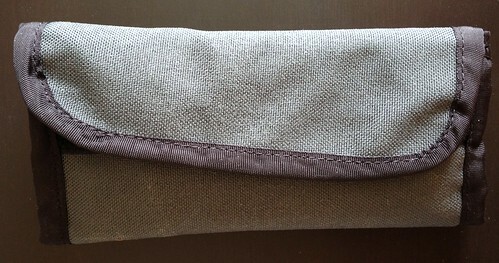 It feels really well made and this makes me believe that this pen case will be with me for a very long time. I have quite a few pens in my Mod.02 with still a lot of room spare to add more if I choose to. There are three pockets to store pens. The left one is the biggest pocket (twice as big) and I use this for my everyday pens. My fountain pens occupy the other two pockets. A strip of material sits nicely over the pens that from what I can tell helps reduce the pens from contacting each other when closing the Mod.02. To open the Mod.02 is very straight forward too as it closes/opens using a pretty thick strip of velcro. It really gives the impression that everything is nice and safe when closed. Overall I love the Mod.02 and I do plan to buy another one at some point this year. 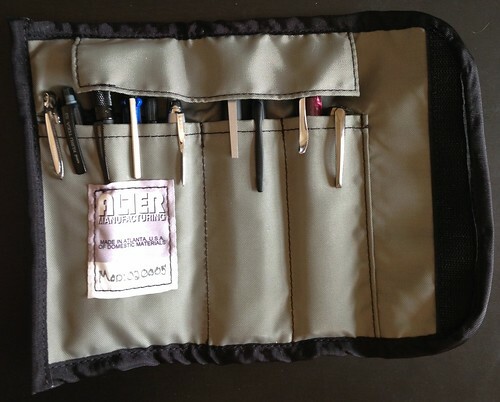 I have been mainly using mine to protect my favorite pens but I plan to use the next one for my daily carry. If you have one I would love to hear what you think of it!